ANSWER: Because it provides new avenues to understand better brain injuries, Alzheimer's disease and many other brain conditions. The development of a multiphysics neuron model which Antoine Jerusalem from Oxford University is exploring is at the heart of tremendous medical challenges regarding severe brain conditions like Alzheimer's disease and brain injuries. 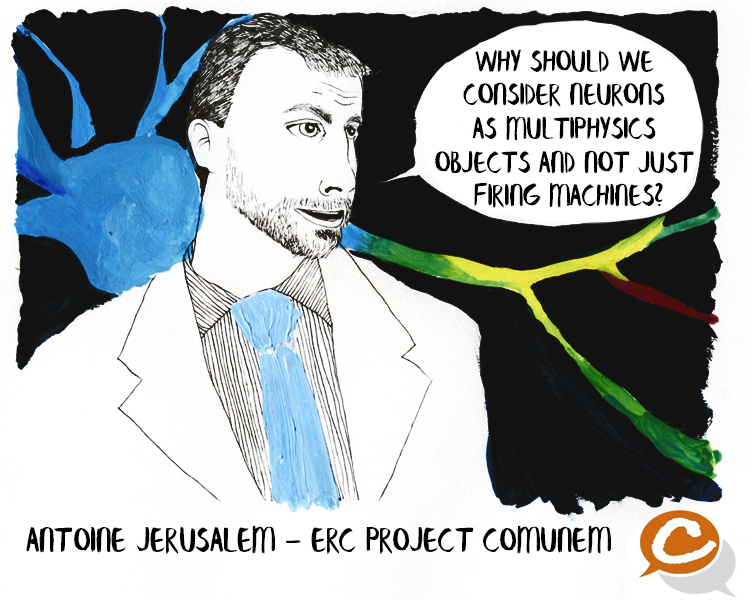 The modelling of neurons led by Prof. Jerusalem aims at exploring how mechanical, electrophysiological and chemical mechanisms interact in neurons. Such interaction is at the hearth of the understanding that can lead to drastic advancements in medicine. The multiphysics neuron model will ultimately allow the bio-medical community to enhance their knowledge on neuron deformation, growth, electrosignalling and thus, Alzheimer’s disease, cancer or brain injuries, and even ultrasound neuromodulation.